A new tidal wave has been found in Myanmar, according to veteran surf explorer and Stormrider guide author Antony Yep Colas who chats to Spike about a recce to the Gulf of Martaban. Antony "Yep" Colas is an interesting character. He started www.maldivesurf.com which offers safari boats and board rental in the Maldives. He's the author of the Stormrider guides (Low Pressure publishing), and is perhaps the world's most knowledgable tidal bore expert. If there's a tidal bore out there, he's seen it. 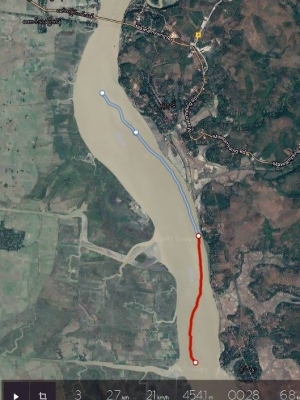 At the end of March, Colas and his team went on a recce to the jungles of Myanmar to check out what they heard could be a proper tidal bore. However, they couldn't find a boat. "We drove up and down the country like crazy. After seven days we finally found a good fibreglass boat, but offering only 30 horsepower. 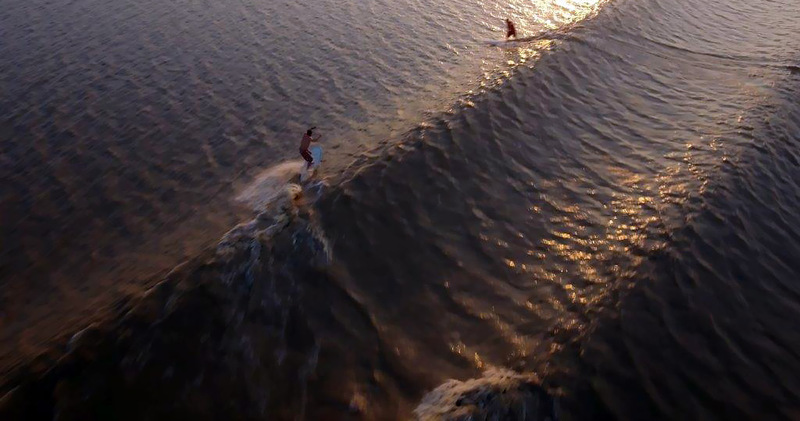 This made us two days late for the bore," he told Wavescape. They only saw the tail of Lhaine Lone (local name), and it's a big one!" 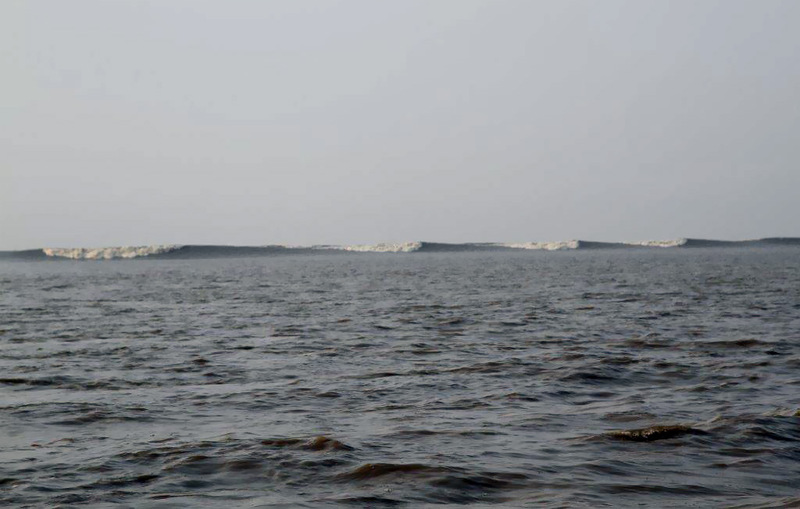 he confirmed, with probable wave face heights of 10 feet at its peak down the Gulf. Even two days after, it was breaking head high and running at a brisk 25km/h. He reckons it could be one of the World's Top 5 and even Top 3. The recce turned into quite an adventure. "During the trip we almost sank the boat but managed to keep it afloat. It was a narrow escape." 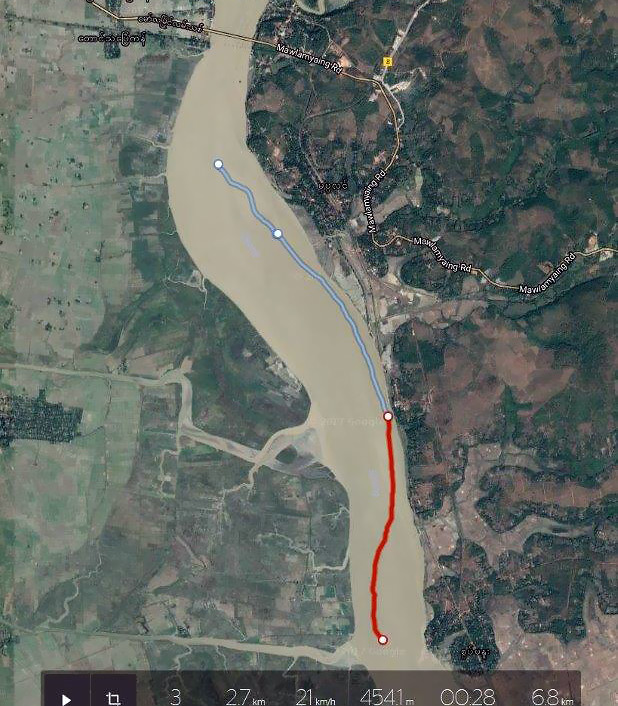 They checked out a few rivers: Sittang (scored the longest ride of 28 minutes, see pic right) and Bilin, while they think that Bago and neighbouring tributaries get their share of the tidal push as well. The bore takes place every spring tide and all year round although he thinks that in the monsoon season it might be weaker. He said they surfed river bores every day, morning and evening, for seven days, and on the last day April 3, "we actually managed to surf 2ft breaking wave on an almost neap tide of 43%." "The environment is totally surfer's friendly: no military hassle, very low mosquito factor and it's the only tropical river I know thas has no crocs! 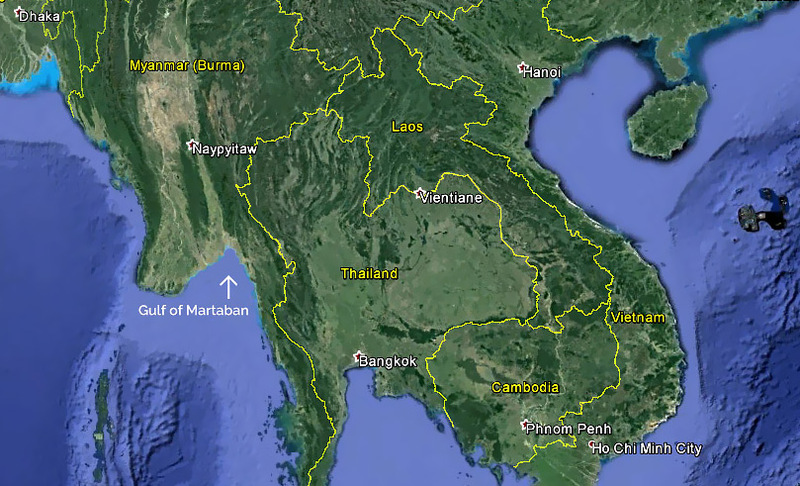 That's without mentioning the amazing pagodas, beautiful trees, helpful fishermen and wonderful human vibes." 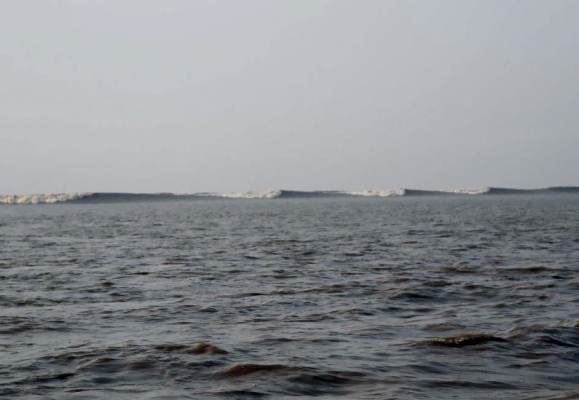 "We are already trying to set up a new expedition to chase the beast in full awe during the peak of the spring tide. The documentary of our trip will be edited soon by Babel Press in New Delhi and should be aired on French TV in a few weeks."